A group, Asiwaju Grassroots Foundation (AGF) has felicitated with Hon. Bola Ilori on his birthday describing him as a great pillar of the foundation. According to Ishola Olateju Adunni Olorungbebe, the National Coordinator of the group in a congratulatory message he signed and issued on Saturday, Ilori is a socially responsible leader and an icon of democracy. 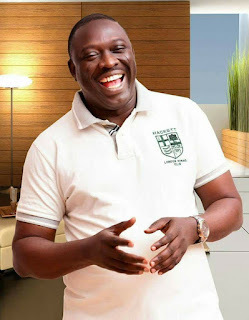 To Ilori, a Chieftain of the All Progressive Congress, Olorungbebe said, "on this special occasion of yours, we join other numerous well wishers both at home and in diaspora to celebrate you for your exceptional Leadership qualities, doggedness, versatility, creativity, media savvy, empathy and above all you are an epitome of humility. "Your role in the actualisation of the Nigerian democracy especially towards ensuring it is sustained with high respect for the rule of law cannot be quantified, most importantly your mentorship role and maximum support for all of us at ASIWAJU GRASSROOTS FOUNDATION is remarkable and highly commendable. "You are certainly more than a Boss and Leader to us, all we see in you every time we interface is a confidant, friend indeed and our family head. May your birthday be as magnificent as your impact on ASIWAJU GRASSROOTS FOUNDATION and the survival of democracy in Nigeria. "As you celebrate this special edition of your birthday, we pray that the almighty God will open the gates of heaven and shower you abundant blessings with a career that is long and fulfilling. HAPPY BIRTHDAY BOSS!"